Millions of Americans believe that President Obama has normalized relations with Cuba and ended over 50 years of U.S. efforts to strangle its economy. They might have been puzzled when the United States stood up against every other nation save one, in opposing the UN General Assembly resolution which passed, 191-2, on October 27, 2015. 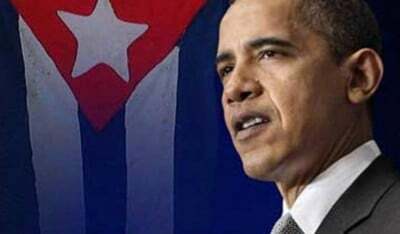 That resolution condemned the continuing U.S. commercial, economic and financial embargo against Cuba. According to the Christian Science Monitor, “when the vote lit up on the screen many diplomats jumped to their feet in a standing ovation.” The U.S. ambassador was not among them. Cuba’s foreign minister, Bruno Rodriguez, called for concrete action instead. “The lifting of the blockade will be the essential element to give some meaning to the progress achieved over the past few months in the relations between both countries and shall set the pace towards normalization,” he told the General Assembly. Rodriguez said the blockade is “a unilateral act of the United States and should be lifted unilaterally, without asking anything in return.” He was critical not only of the U.S. Congress but also of Obama’s failure to take executive action to ease the blockade. According to U.S legal experts, most of the legislation over the last 55 years gives the administration the authority to block trade with Cuba — or not to. For example, the president could allow Cuba to sell its products to the U.S. market, but nothing has been done in that regard. Likewise, the U.S. Commerce Department’s January 2015 regulations generally only allow U.S. manufacturers to supply to private enterprises in Cuba, and only if they will then be utilized for privately owned property. The new U.S. regulations are also much more liberal regarding telecommunications than for trade generally. These arbitrary restrictions undercut the administration’s suggestion that Congress must act before the economic blockade can be lifted, although all agree that a full repeal requires congressional action. 1) The Internal Revenue Service is apparently moving ahead with its plans to revoke the 501(c)3 non-profit status of the Interreligious Foundation for Community Organization/Pastors for Peace (IFCO/PFP), based on its long history of using civil disobedience to challenge U.S. restrictions on travel to and trade with Cuba — even though the unit with responsibility to enforce these restrictions has not acted against IFCO/PFP. 2) The U.S. Treasury Department’s Office of Foreign Assets Control (OFAC) has renewed its threats and prosecutions against U.S. persons based on previous travel to Cuba, four and five years ago, and has threatened to revive holding the “trials for travel” in Washington D.C. George W. Bush had instituted those trials but abandoned them in 2006. 3) The U.S. State Department has continued its pattern of unreasonably delaying or withholding issuance of non-immigrant visas to mainstream Cubans invited to visit and speak in the United States by academic and professional organizations. For example, when the American Sociological Association invited a gay Cuban doctor, who had headed Cuba’s program of comprehensive treatment for transgender people, to speak to its August 2015 convention in Chicago, it took the offices of Sen. Tammy Baldwin, and U.S. Reps. Gwen Moore, John Conyers and Barbara Lee to pry loose his visa, which was issued only at the last minute, making him miss most of the convention. As a result of these congressional efforts, he was then also able to speak at the Milwaukee LGBT Community Center and appeared on Chicago public television. This is the same experience of many invited Cubans, most recently a leading Cuban labor lawyer invited to speak at the October NLG convention, and this has happened year after year. Both of these Cuban experts have received U.S. visas in the past and visited here without incident, although each time they have had to wait until or after the very last minute to book their flights, often missing much of the conventions they were invited to attend. Art Heitzer ([email protected]) is an attorney and chair of the Cuba Subcommittee of the National Lawyers Guild. For more information and actions you can take, visit www.wicuba.org or call 414 273-1040 ext. 12. Marjorie Cohn is a professor at Thomas Jefferson School of Law, past president of the National Lawyers Guild, and deputy secretary general of the International Association of Democratic Lawyers. See www.marjoriecohn.com.